Cameo is one of the denser Marco Polo daughters we've had, with the fineness and crimp characteristic of her sire. 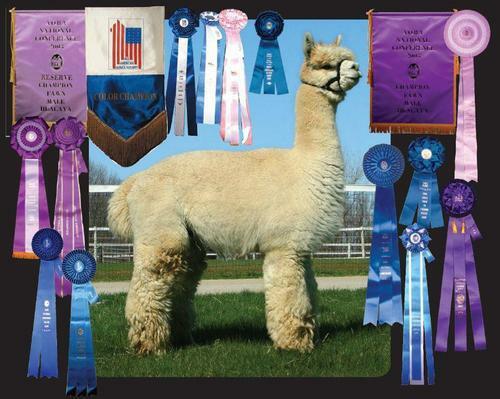 Marco's fleece is legendary; it won Reserve Champion and Mill's Choice at the 2004 AOBA Fleece Show. Cameo's dam Camille is pretty special too. She is dam of Mi Alma, two-time Reserve Champion at IAO and once at the Futurity, and she sold in the Parade of Champions auction for $57000. 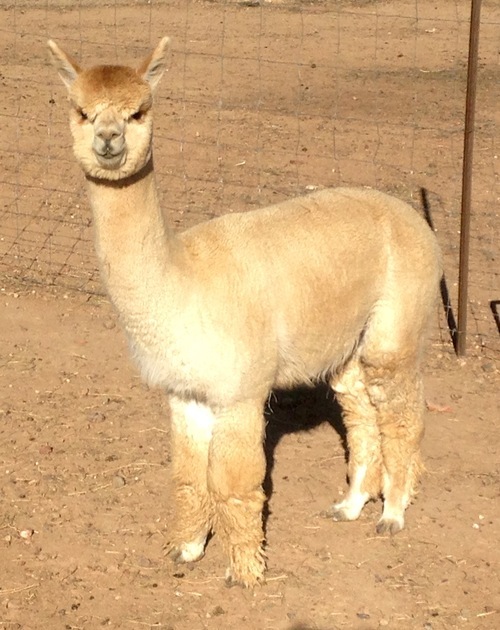 With Cameo's density and crimp she is literally one breeding away from producing a champion. She produced a white Perfection daughter first time out, and a very nice medium fawn Running Late son after that, with great density and crimp. We're rebreeding her to Running Late, since she's proved she can throw color. 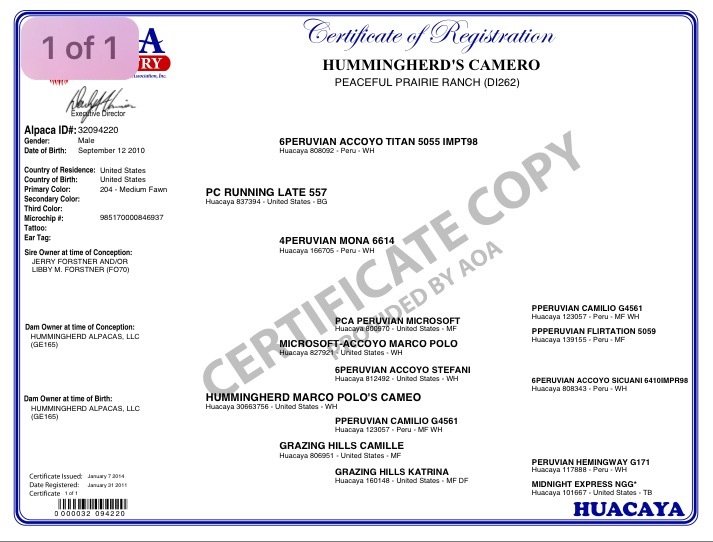 Camero is a son of well-known PC Running Late and a Marco Polo (Microsoft son) daughter out of a Camilio daughter out of a Hemingway daughter. He is extremely fine (AFD 14.2 age 2, and at age 5 it was only 17.5, and now for 2017 shear he still remains an AFD of 17.9, SD of 3.9, CV of 21.8% and PERCENT >30 only 0.9% !!! with his dam's excellent density, brightness and crimp. The combination of Camero's lasting fineness and consistency is a prime example of what we're breeding for. 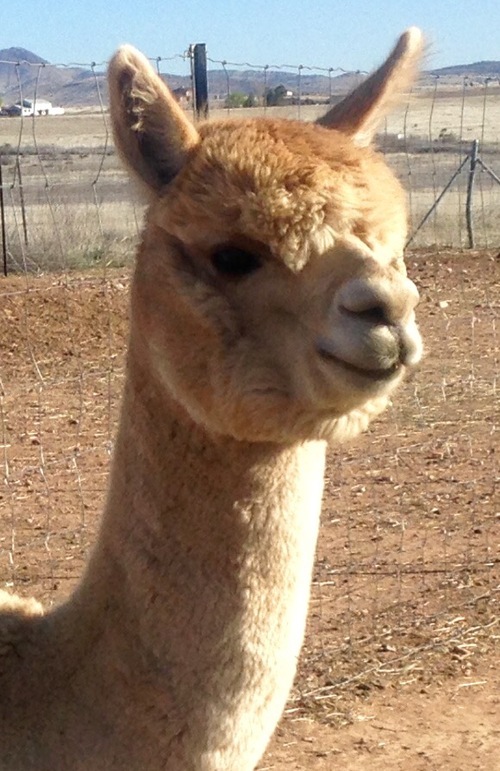 Camero's head is very attractive, with good coverage and darkly lined eyes. He got a ribbon at NWAS as a young juvenile, but as a yearling he's already scored with a first place and Reserve Championship at SWRAS. Camero has just begun to make his mark as he has cria hitting the ground. 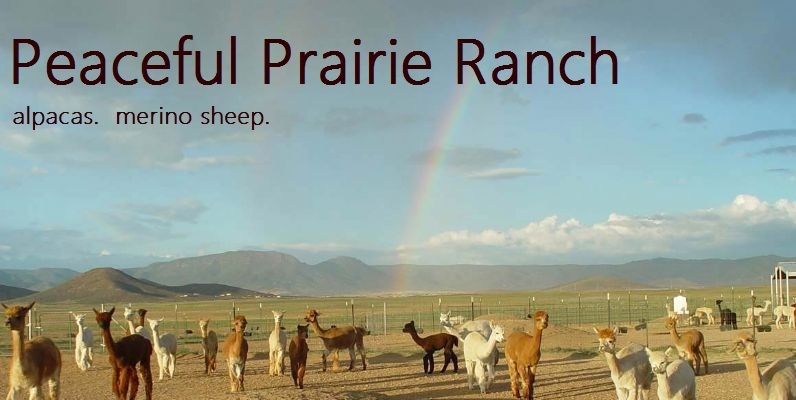 He proved to be a no-fuss breeder and we have even been able to have him settle females offsite at a customer's farm this past fall. 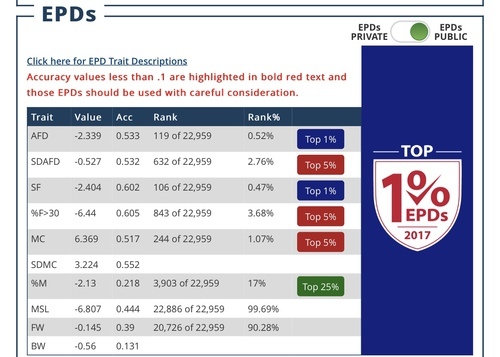 2015 showed Camero ranking TOP 1% in FOUR EPD trait categories and in 2017 he still remained notable in almost all categories. This is an important aspect to consider along with ongoing fleece traits etc. 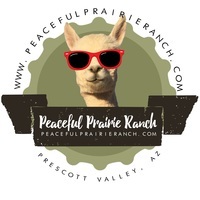 Here at Peaceful Prairie Ranch, we know all young alpacas are cute and soft and generally have amazing fiber - but when you have 7 year old breeding males with this kind of fiber, that is something to really treasure. We want LASTING fineness and uniformity here, and Camero is carrying that torch well into the next generation. Contact Wendy to discuss Camero. Cute & She Knows It!